Abele was born into a fairly high-up family, being one of the few black dragons out of his siblings, as three of his four other siblings had been born among the purple spectrum, being various shades, but always identifiable as purple. As such, he was expected to be stronger than his other siblings, to grow up to be a royal guard- Or even a king. And that's what he aspired to do, until his older sister, Sirath, got shot down in the midst of a battle on his first day as a true guard. Needless to say, his dreams fell pretty far down a pit, and were buried alongside his sister. Though he didn't let it effect him much on the outside, he was absolutely devastated by the loss of his favorite sibling. She was his big sister, the dragon that was training him, and someone he felt as though he could always lean on. How could he ever deal with the loss? Well, it's simple. He never really has, and still has some form of guilt on his shoulders- Causing him to lock himself in a circle of self-hatred. He's tried exploring to avoid the guilt; it didn't work. He's tried filling it with faux-happiness, and once more, it failed. He's gone through a phase where he faked happiness, sadness, and just about every emotion, well, now, he's decided he's going to front with one general mindset in mind; bitterness. He truly felt hatred to the world after the loss of his sister, after blaming himself, his fellow guards, and now, finally whatever form of a god those believed in. What once had a possibility of being a kind, gentle, loving man, was now a bitter husk of salt, leaving only space for wrath, caring for next to no one- And if he did finally get close to someone after so many years? Maybe he'd let the bitterness go, willing to finally move on. That or he'd get ten times more bitter, it's really hard to tell in this situation, considering you can't really tell if he's a 'tsundere' or not, considering he hates just about everyone he comes across. [PHY-1] Roar of a Dragon Abele lets loose an explosive roar, dealing 30% damage and stunning an enemy for 1 turn. [HP-1] Breath of Meridia Can only be used as a self-heal. Heals Abele for 25% resolve and hits one target for 30%. [PAS-1] Wyrmsbane 5% More damage to all Wyrmkin (Dragons and Dragon Shifters included)[PAS-1] Accumulate Going a turn without using a skill increases the power of the next skill used by 3% (Caps at 3 stacks)[PAS-1] Miracle In a death thread, prevent the user from dying by normally fatal damage. Can only be done once per death thread. In a normal thread (or death thread too, assuming the target was knocked out and not killed) the user may bring an unconcious ally back for 10% of their Soul for free. Abele let out a slight grunt as he grabbed a large bag of wheat, tossing it onto a carriage. "I never signed a paper that left me open to volunteering for a damn carriage loading and unloading job, no no no, I have to because we're family." He shot daggers at his sister, who he'd grown to despise. Mumbling under his breath, he continued speaking to himself, "Damn purple dragons.. Never do anything themselves. Always making me do their dirty work." Now, despite what he may have been insinuating, he was only referring to his family, as they tended to shove him around- at least in his eyes, once he'd become a guard. Turning his sharp gaze to his sister, he huffed. "Now then," Approaching with the swagger of someone who had already served time in prison, he held his hand out, expecting some form of payment. "I'm going to be paid." What squeaked from the smaller dragon had him pressing his brows together. 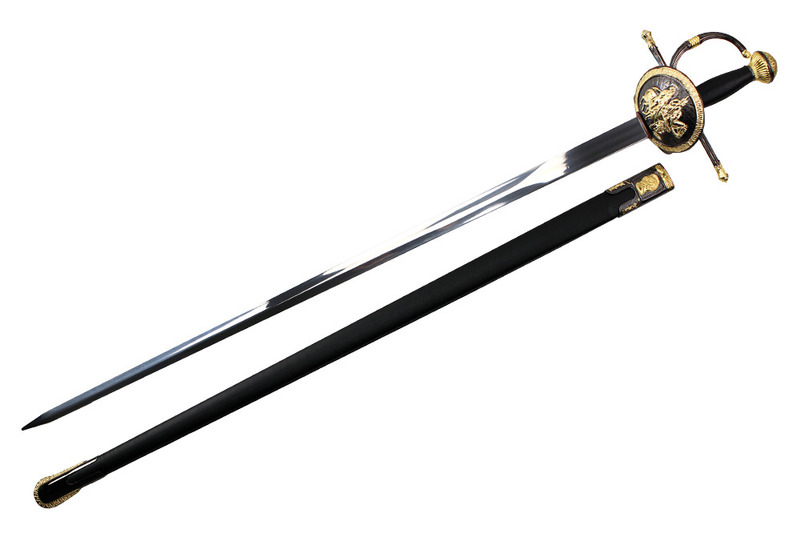 "I-I don't have the Essence, bu-" Before she could even finish her sentence, Abele had drawn his rapier, Anduril. "Rylu," Making direct eye contact with the petite female, his voice practically dripping in poison. "You either willingly give me the Essence I'm asking for, or I take what I need from your carriage and then some." When the female hadn't responded? He lightly pressed the blade against the petite girl's neck. "Give me the essence, Ryluth. I don't want to hurt you, but, you're forcing my hand." Near instantly, the smaller dragon let out a fearful whimper, slowly holding her hands out, and letting the Essence come fourth. Grinning a rather.. Toothy, lets say, grin, Abele snatched the Essence that was held out to him, taking a few steps back. 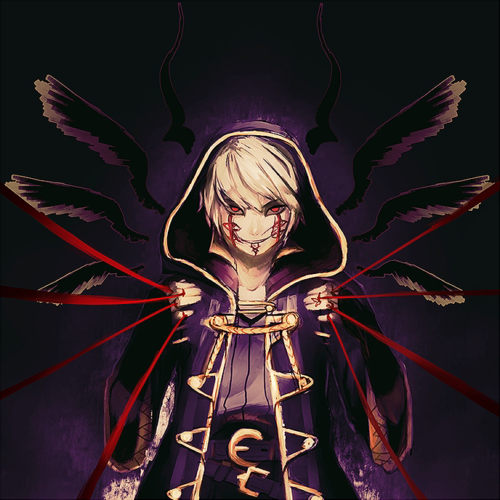 "Now, hopefully you won't lie to your family again," Lightly pushing his rapier through the weak cloth that protected the precious cargo of the carriage, he made a quick slash through it, to give one final warning to the girl. "I hope we won't have any disagreements like this again, dear sister."